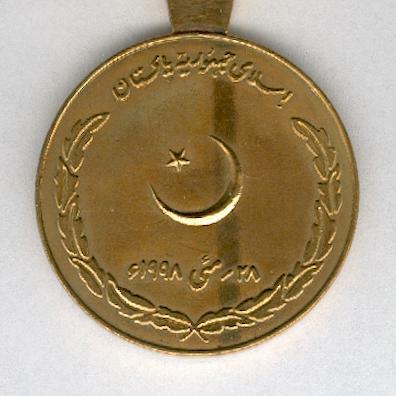 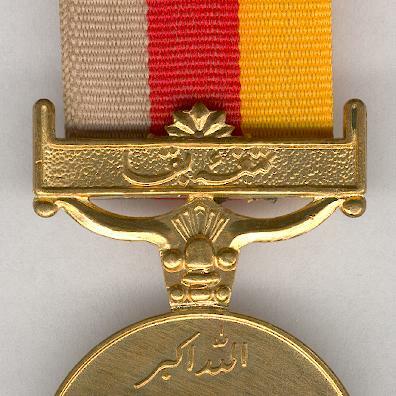 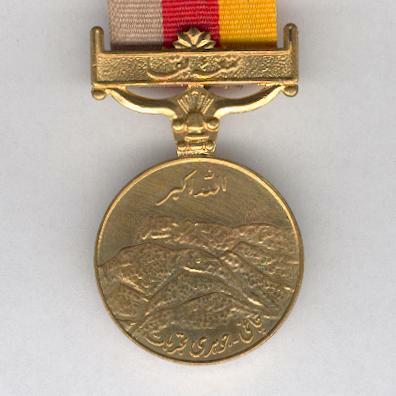 Circular gilt metal medal on scroll and bar suspension, the bar inscribed in Urdu; the face with Koh Kambaran Mountain, an inscription above and below; the reverse with the crescent and star of Pakistan centrally, dated 28 May 1998 below, both within a stylized oak wreath, inscribed above; on original ribbon. 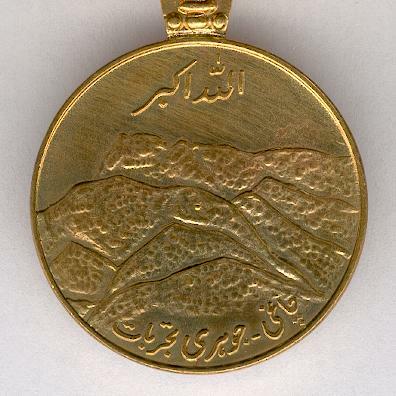 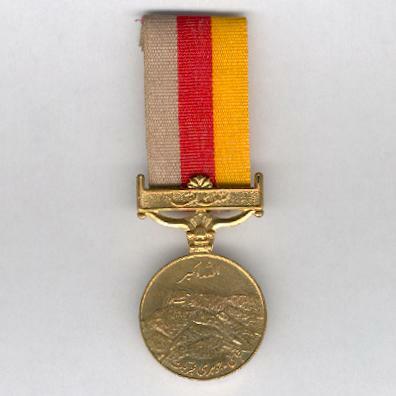 The Medal was instituted in 1998 to commemorate Pakistan’s first five underground nuclear tests, held on the afternoon of 28 May 1998 at the granite mountain of Koh Kambaran in the Ras Koh range, Chagai District, Baluchistan in the far west of Pakistan, bordering Iran and Afghanistan. 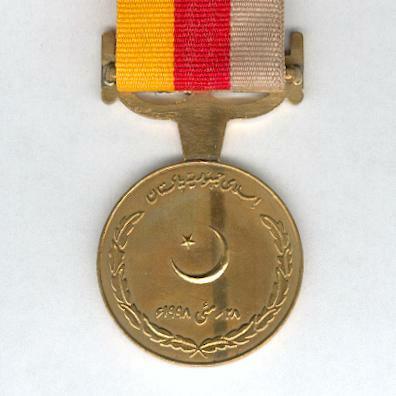 The tests followed Indian nuclear detonations on 11 May 1998 and were the cause of great national pride and celebration. 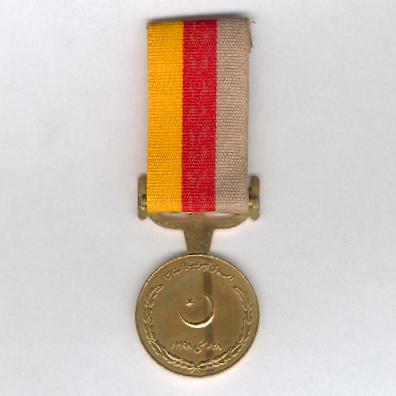 The Medal is hard to find.